Jammin’ for Jesus will be held Sunday, June 4, at 2 pm in the Branson Famous Baldknobber’s Theatre, 645 S. Hwy 165. The hosts for this event will be Brandon Mabe, Barbara Fairchild, and Jimmy Jack Whitaker. Others jammin’ are vocalists Mary Lou Turner, Keith Rawls, and Kathy Hurst. Other talents will include; Sonshine Road from Nashville, Greg Jones from Texas, Final Chapter from St. Louis, Marlene Pelt, and saxophonist Gary Dooms. This is benefiting the Tri-Lakes Messengers Motorcyclist Association’s Lives Under Construction Project. This will be a great afternoon of Gospel Music. Free Admission to Jammin’ for Jesus with a donation of non-perishable food items. A love offering will be taken. The public is invited to a special Memorial Day weekend ceremony on Saturday, May 27 at the Branson Veterans Memorial Museum. As part of this event, the museum will dedicate the recently located Vietnam Huey UH-1C helicopter in honor of Vietnam Veterans. The U.S. Army will be on-site with a display comprised of an armored Hummer & 6×6 truck. Additionally, this event will also pay tribute to Branson First Responders including police, fire, and EMTs with a special showing of the Mercy EC 135 Eurocopter air ambulance that will fly in and land adjacent to the Huey. All veterans, residents, visitors, and students are invited to this special event beginning at 9 am with coffee & donuts Saturday, May 27, located at 1250 W 76 Country Blvd. Opening ceremonies will begin at 11:45 am following a performance by the cast of Branson’s newest show, “All Hands on Deck,” at 11:30 am. Earlier this year, the Branson Veterans Memorial Museum restored the Huey UH-1C upon its retirement from the 118th Thunderbird 3rd Platoon “Bandits” and relocated it to its permanent resting place in Branson. This event is free to the public, and guests of all ages are invited to attend. The museum will be open for touring and learning more about the relics of the Vietnam War on display throughout. Guests speakers include city of Branson dignitaries and museum spokespeople will present throughout the morning until 2 pm. Food & beverages will be available for purchase from 9 am to 11:30 am. 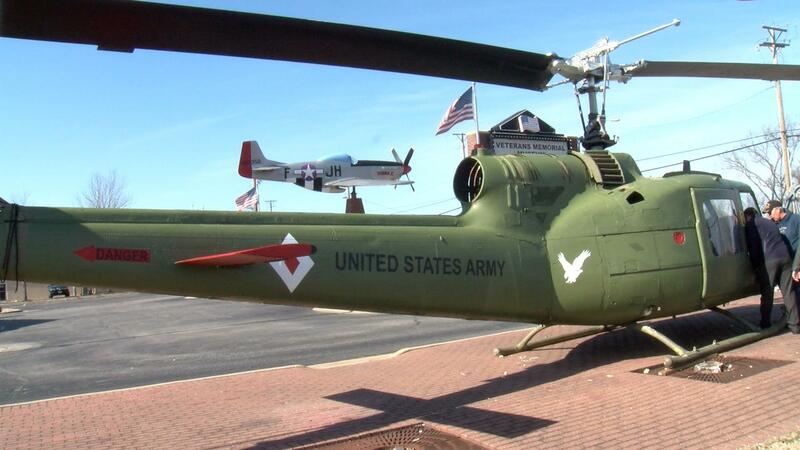 Huey UH-1C at the Branson Veterans Memorial Museum Photo Credit: Ozarks First-KOLR-10 News. The Missouri Trucking Association is proud to present 170 plus Professional Truck drivers from around the State of Missouri, in a competition that will crown nine class champions, a vehicle inspection champion, a knowledge written exam winner, as well as a rookie of the year, and an overall Grand Champion driver. 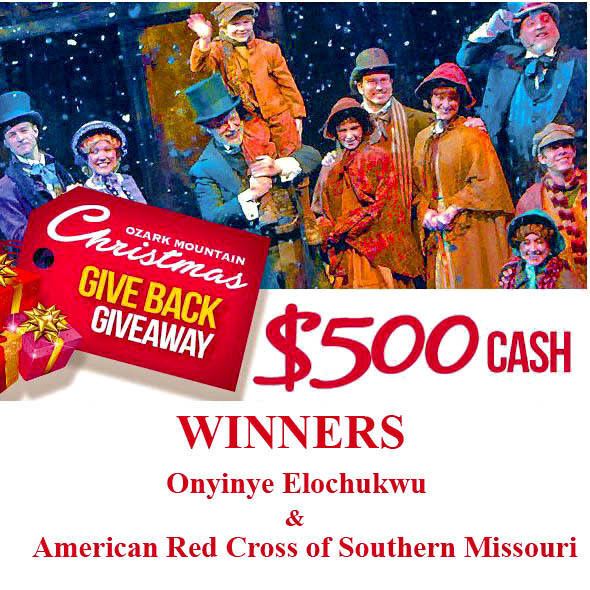 The event will take place June 2nd and 3rd, at the Branson Convention Center. The contestants will compete in competition that will test their skills on an obstacle driving course; test their knowledge in trucking industry, safety, first aid and hazardous materials; and a hands-on test of their ability in the vehicle inspection aspect where the contestant must locate a multitude of hazards that have been planted on a vehicle. The Championship program is one of the most visible and successful safety initiatives of the trucking industry. Established by the (ATA) American Trucking Association in 1937 as the National Truck Roadeo; today’s Championship program provides professional truck drivers the opportunity to demonstrate their exceptional driving skill, knowledge and professionalism at the company, state, regional, and national level – all qualities that make them leaders in their profession. This year the Missouri Trucking Association is celebrating the 50th anniversary of this event with the first-ever indoor skills course. (2) to improve the media’s and general public’s image of truck drivers and the motor carrier industry. Both days are open to the public. For more information, please contact the Missouri Trucking Association office at (573) 634-3388. Center Turn Lanes are for turning only! “From both a safety and a ‘bad experience’ perspective, it’s important that everyone traveling on Highway 76 use the Center Turn Lane properly,” said Preston Garrison, Director of Operations for the Branson Tourism Center. “Their purpose is to help drivers make a left turn from a lane. It’s a safe spot to wait while the oncoming traffic clears and allows the continued flow of following traffic. It’s not a driving, passing, or acceleration lane,” he added. Don’t pull into the lane until you are a short distance from the spot where you want to turn. Once in the Center Turn Lane stop and wait for the traffic in the on-coming lane to clear. Make a safe left turn. You are in a risky safety and ticketing position if, while in the Center Turn Lane, you pass another vehicle, speed up, or drive past one of the marked turn locations.